Teacher of the Year: Economics teacher Jim Lerch uses previous experience to teach UHS students economics. TUCSON, Ariz. -- Passionate and direct. 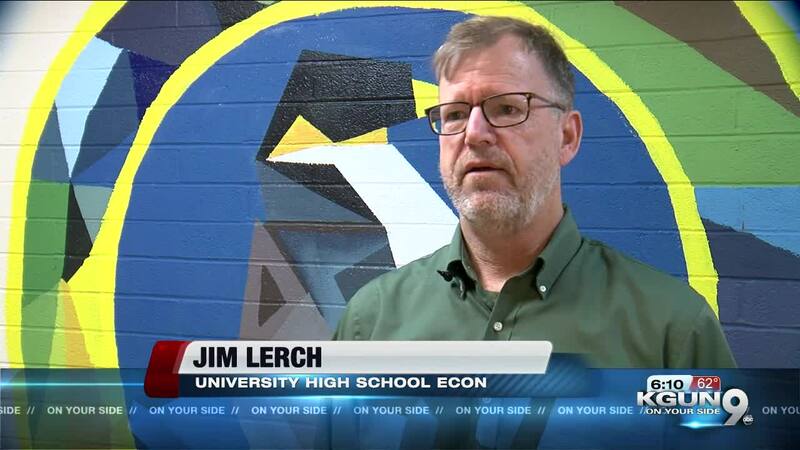 That is how University High School economics teacher Jim Lerch teaches his students. He stands at the front of the class teaching his students the basic principals of supply and demand. "All they're doing is fighting over that price," Lerch said. ""That's what economics is. If we don't have scarcity, we don't have this class." He developed his teaching style in his first career, as a lawyer. "I could see the value of education in mock trial and coaching soccer," Lerch said. "In both contexts I'm working with kids and it really brought me a lot of benefit. I felt the intrinsic value of what I was doing. When I could, I made the switch." Lerch has students pair up and eventually work in teams to tackle the problems he puts in front of them. "The content is the challenge," he said. "We're in it together to try and overcome the challenge." Lerch is one of nine finalists for the Teacher of the Year Award presented by Arizona Online, Arizona Athletics and KGUN 9. In just its forth year, Arizona Online is ranked in the top 10-percent of online bachelor programs in the country, according to a new ranking by U.S. News and World Report.